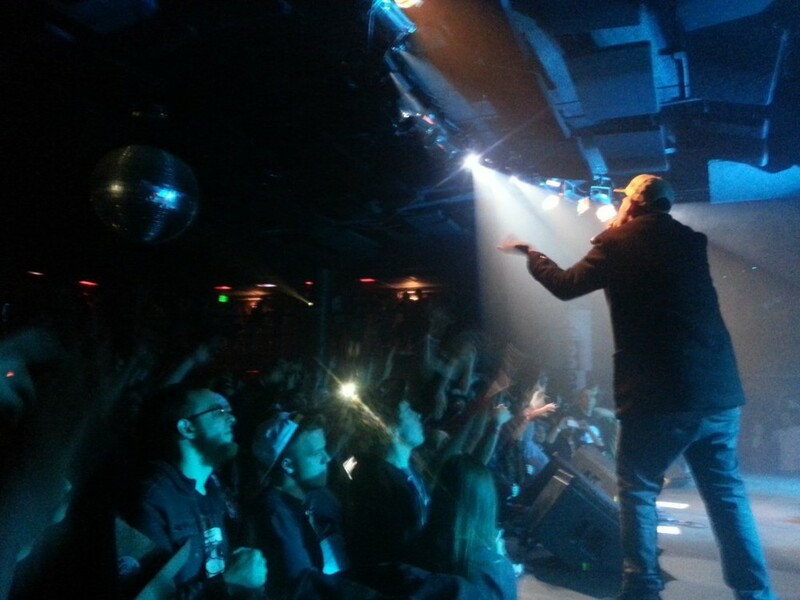 Dilated Peoples rolled through Denver on Friday night and played a killer show at Cervantes Masterpiece Ballroom! We were fortunate to be a part of the mix by presenting the show, and held down a merch booth in the front with our limited edition Smokey Says pocket tees, along with tons of our other new apparel. Captain Safety worked up an insane Dilated Peoples x So-Gnar custom screen print poster, that had everyone hyped. Local boys Abstract Collective started things off right, with Common Market following right behind. Grynch was up next and played a set that was spot on and got the crowd hyped. The moment Dilated came on at 11:30 they brought the heat and did not slow down for a solid hour and a half. Over all the night was a success, and was definitely a great way for Denver to get the first legal 420 holiday weekend started. Shout out to everyone at Cervantes, Apollo Ink for printing the posters, everyone that helped out, and Dilated Peoples for the great night!